COWBOY ALAN : Actually my fathers, the problem is Im gonna have to wait til Glory to get the answer. But frankly Im more concerned about the fans and their opinion. My wifes opinion is most important and she has been my biggest fan and supporter I'm probably my worst enemy, Go figure. COWBOY ALAN : I think the Lord uses personal events to inspire the words for me and if its tugging on me usually a melody follows right behind and before you know it youve got a song started. To this point every song Ive written has been with my guitarist JT Monroe. Hes just an incredibly talented guy and usually if Im stuck hell come up with the answer! COWBOY ALAN : I love so much of what has been done in country music over years it is hard to say. Im influenced all over the spectrum from the southern rock sounds of Lynryd Skynryd to the pro American image of Toby Keith. But when it comes to presence and performance I have to admit, Im influenced by Elvis Presley. I grew up watching his movies on TV and just feel he wasnt only a singer but he was an entertainer. Answer : I really like Alan Jacksons latest album. In particular, the song: Small Town Southern Man, he just has a way of writing that I enjoy so much Thats my serious side. But if it comes to witty music I sure get a kick out of the stuff Toby Keith has been putting out over the last several years. Hes got a great way to say it in a lyric. COWBOY ALAN : Well, It appears the album will be titled BEHIND THE EIGHT BALL. The CD is named after the final track on the album, which is written from a gamblers point of view. But it also reflects the fact that I pretty much have waited so long to finally chase this dream,that I kinda feel Im Caught Behind The Eight Ball a bit.Tentative release will be early May 2009. COWBOY ALAN : I enjoy both actually. Probably because of my influence of both gospel and rock. I know some people dont like where bands like Big & Rich have taken country. But I tend to agree that as a culture weve been kinda put in this big mixer and have been influenced in so many different directions that the stuff that has come out of the New country scene just feels real and right for this generation of country music. COWBOY ALAN: The internet has been awesome. As a result weve been getting airtime by folks such as yourself and way out in South Dakota on KNLD! As well weve met so many great people who have been incredibly helpful and encouraging. JOHNI DEE : Hello everyone, my name is Johni Dee, I am the lead singer and sometimes drummer with our group, the Mystery Train. I started playing music when I was about 10 years old, my mother was a country singer and I would watch her perform. I was always attracted to the drums, and eventually started playing drums with my Mothers band. While in high school I started my own band and have played both rock and country. I first became interested in country music while stationed in Biloxi, Miss. I have performed all over the United States and Canada. JOHNI DEE : I make an attempt at all of the above!!! JOHNI DEE : some people have said that I am not country, others say I am not Rock, I say I am me, I just sing what I feel. It seems as though I have been accepted by the country fans. JOHNI DEE : I wrote a song titled "Change In Love", I started out to write how your love becomes shared when you have a daughter, song came out as a prophetic statement of my upcoming divorce. You just never know when you start writing what might come out. JOHNI DEE : Don't Close Your eyes- Keith Whitley, I think it is the most beautiful song I have ever performed!! JOHNI DEE : "I'M STILL AROUND", It was just a statement that I was making. I had been sidelined for almost 20 years and decided to return to music after my 14 year old son kept after me to play again. He has been my inspiration and most devoted fan!! JOHNI DEE : Yes we are, titled "IT'S NEVER TOO LATE", again it is my statement that it is never to late to do what you love. There is also a song on the CD titled "IF I KNEW THEN WHAT I KNOW NOW", it could be our next single!!! JOHNI DEE : I enjoy traditional country, but some of the new country I like as well. I love Kenny Chesney, he is a true entertainer. I love anything that is done well. JOHNI DEE :The internet has allowed us to reach parts of the world that we would have never gotten too. It has allowed us to get feedback on our music and add many new fans. JOHNI DEE : I hope that when you visit our site you will listen to our music and come away with the feeling that we are sincere about what we do. If we can touch someone or help bring a little happiness, with our music, we have accomplished our goal. Please feel free to leave us a message or comment. JOHNI DEE : We have restricted our sales to Myspace www.myspace.com/johnideeandthemysterytrain and at clubs where we perform, if interested you can contact us through our myspace. MAC REYNOLDS :I'm Mac Reynolds ,Well I have been writing lyrics since age 12 lol, I started realizing I could play a little guitar about 8 years ago , and the two are just slowly coming together. Music is My Life ! MAC REYNOLDS :I am a Songwriter that can sing and play a little lol. I really enjoy performing for anyone who will sit long enough to listen haha! MAC REYNOLDS :I am my own worse critic. I am a little tone deaf ,so I cant hear myself real good and it makes me very loud haha, I am very hard on myself! But its my passion and I'm okay with that I reckon haha! MAC REYNOLDS :Mostly My life and those real close to me !Stories that happen or someone saying something funny lol, just life in general ! MAC REYNOLDS :The music, the lyrics seem to come very easy , its hard to make the sound change when you write a lot of songs so that keeps me up a lot at night ! MAC REYNOLDS :Its Me ! Its who I Am ! MAC REYNOLDS :Charlie Pride , Merle Haggard, Waylon, Paycheck, Just about any Classic Country Singer . MAC REYNOLDS :The Two of Us. It was the fastest song I wrote and the slowest sung haha! MAC REYNOLDS :Roll On Mississippi, Charlie Pride, Just an Awesome Song! Loved the very first time I heard it and Still Do ! MAC REYNOLDS :I Love Music ! Good Music ! I really like original music . It has so much more meaning whenever it comes from the writer, whether ocapella, or with music! I love a Good Song! MAC REYNOLDS :A good friend of mine made it lol! We used to work together driving nails and he left and now has a real good CD out ! Ya may have heard of His band Crossin Dixen ! I hope I spelled it right haha! JT HOLLIS :I am JT Hollis. I have been singing, in one form or another since I was a child. Church and school choirs, barber shop quartets, and even the lead of a rock band when I was stationed in Germany. After a long hiatus from music, I rediscovered my love of singing and performing. JT HOLLIS :I am a newly starting songwriter, and a singer, but I would like to learn to play a instrument or two. JT HOLLIS :The fans, because if it wasn't for the fans, then what good is being out there doing what you do...because there wouldn't be anyone listening. JT HOLLIS :Sometimes one, sometimes the other, it all depends on what comes inline first...sometimes they both happen at the same time. JT HOLLIS :That my music comes from the heart. It is inspired from inside of me, from the depths of my soul. JT HOLLIS :"Keep Pushing On". This song actually helped me to continue on with my life. Life came to a standstill when we lost him, and working on this song gave me something to focus on, in order to "Keep Pushing On". JT HOLLIS :I'm Gonna Be Somebody by Travis Tritt. This song shows and tells the story of if you really, truly, from your heart, want something...and you truly go after it...you can achieve your goals...no matter what the obstacles. BRADY REDDING : My opinion means more BEFORE I record my songs. My fans will always expect and get the best that I am able to do. If I don't like it, how can I expect my Fans to. My Fans know that I work hard to give them Quality Music. BRADY REDDING :That Varies depending on the song. I may have a tune and then the vocals just come naturally because of the mood of the music, or I may write a song and then the music just happens to balance out with what I wrote. There is no solid rule especially when it comes to a song. BRADY REDDING :Who's Gonna Fill Thier Shoes by George Jones, because it really tells the story of what we as Songwriters an Artists aspire to...keeping Traditional Country Music alive! CATLIN TIERCE: I've been singing since I was a kid. Been in several country bands. On stage with Charlie Daniels, Alabama,The Hager Twinns, to name a few. I got saved in 96 after my brother got killed drinking and driving. Since then I have devoted my music to God. I shared stages with the Gaithers,Ivan Parker,Gerald Crabb, Total Praise, Providence Quartet, Quinton Mills, Just to name a few. Quinton even recorded my song ( Bud ain't Wiser ) I,seen over 3000 people come to know Christ over the past 10 years. God has really been good to me. CATLIN TIERCE: Songwriter, and Singer. God has penned some really good songs through me. CATLIN TIERCE: The fans of course. CATLIN TIERCE: Life in general. Things I've been through or friends have gone through. CATLIN TIERCE: God always brings them at the same time. CATLIN TIERCE: The stories in the songs hit home with a lot of people. We are all connected somehow and music brings that connection to life. CATLIN TIERCE: Charlie Daniels, Quinton Mills, Randy Travis, Journey, Lynard Skynard. It's kind of a mixture. I like a lot of High energy songs but then I like the slow kinda love songs as well. I've been influenced by a lot of different genres. CATLIN TIERCE: Bud ain't Wiser. It tells a true story and hits home with just about everyone who hears it. CATLIN TIERCE: Don't wanta go alone. This song hit home for me and I've been able to make it my own. CATLIN TIERCE: Mama's Prayers----Just looking back and seeing everything God has brought me through My Mom's prayers. CATLIN TIERCE:I have enough material for one I just have to wait on God's timing and the money. CATLIN TIERCE: If I'm ever on a stage in your area prepare to hear about Jesus! I will not compromise. CATLIN TIERCE: I've been doing a concert for children's hospitals for 11 years now. I've seen God heal a baby with legions on his brain, a high white cell blood count, 3 broken ribs, He was purple in color when I first saw him. He and his 16 year old mom were put in a room to spend time together before he died. She felt like it was her fault for being permiscous. God had other plans.. The boy is about 9 now and still doing great. I saw a young man with cerebral pausey get out of his wheel chair and walk across the stage to me. A boy born with his hands and feet,legs bowed. Thanks to God and the Shriner's hospital he's now 4 years old and able to walk with braces. His legs aren't completely straight but he can walk. His hands are next. I could go on and on about the true miracles I have seen since becoming a Christian Singer. JON ALLEN EDWARDS : Hi My name is Jon Allen Edwards and I hail from Toronto , Ontario , Canada. I have always been a music lover, Even at the ripe old age of 3 yrs old my Mother told me I would take this old gooseneck lamp stand she had and pretend it was a microphone stand and belt out my rendition Of Buck Owens " Tiger By The Tail " I come from a large family and have an older brother who played guitar, I would listen to him play his Beatle records as he tried to play along with them. Once I was a little older, he began to let me listen to his Album collection that was quite vast. As I listened to everything from Country to rock to motown, I fell in love with the sound of guitars and the different styles of music they could produce. By the time I was 7 yrs old, after much bugging, my parents bought me my first guitar from the sears Christmas wish book. That was the best present I ever got, and from that point on, all my spare time was spent listening and learning how to play along with all the incredible music of the 70's. JON ALLEN EDWARDS : I am all of the above and I will now add producer to that list Doc. I have self recorded and produced my last 3 albums from my home studio. JON ALLEN EDWARDS : Thats an easy one to answer, The Fans. Without them I would not have the ambition to carry on playing and Writing all the years I have. Its what keeps you going. Just hearing the comments from a fan about a song you wrote , and hearing how it touched them in a way that only music can, Is the greatest thrill a singer/songwriter/ performer can get, There is no drug in the world that can produce the rush and high you get from that. JON ALLEN EDWARDS : I would have to say I get my inspiration from Everyday life events, Both good and bad. I try and draw on Life's experiences and paint a picture with words and music about a certain event , memory or time. I like to write fact and try and steer clear of fiction. I am especially inspired by people who have lived interesting full lives. Thats one of the reasons I like talking with our old war vets, these men and woman have been around and seen both the good and Bad side of humanity. JON ALLEN EDWARDS : Usually the lyrics, the odd time I will get a melody in my head and start humming it until I can find a pen and paper, or my hand, or even my arms when there is no paper to be found lol. I once wrote a song while I was on a long bus ride coming back from a show I had done, I had a pen but no paper, so I just wrote the lyrics up one side of my arms, and down the other, Needless to say I got some strange looks from the bus driver and other passengers when we stopped for a rest break. JON ALLEN EDWARDS : I would have to say on the country side of the fence, Buck Owens, Roy Clarke ( for their great Musicianship ) Merle Haggard, Johnny Cash and last but not least Conway Twitty for their vocal and story telling abilty to bring a song to life ) On the rock and folk side, Neil Young, Elton John, Bob Seger, Peter Frampton and Pink Floyd. They were and still are all incredible songwriters. JON ALLEN EDWARDS : My favorite song that I have wrote would be " More Then A Sister " and the reason for that is I wrote that song for my sister as she was on her death bed dying from cancer in 2002. Linda was my biggest fan and supporter. It was the hardest song I ever wrote and It took me alot of takes to finally get the vocal down, due to my emotions rising to the top as I was singing causing my voice to break. When It was done, unfortunatly she had already passed away, but I know she would have been proud of me for pushing through and getting it done. JON ALLEN EDWARDS : My Latest Cd Is Called " Presently No Past " ACT ONE " Realizing the Dream and it was inspired by an extended family member who Passed away from Alzheimer's Disease. This man had lived an incredible life, full of ups and downs and yet he survived all of it, Including WWII, Persecution from the Nazi's back in his homeland, and a slew of other hurdles. only to have his life end in his early retirement years from this awful disease. This album tells his and his wifes story with Act 2 to follow in The Fall of 2009. I will be taking this project on Tour in Late 2009 with the hope of raising money from album and concert sales to benefit Alzheimer's Disease research. 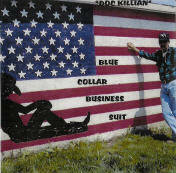 JOHNNY PABST : I am Johnny Pabst, a songwriter/ musician, from Austin, Texas. I was living in Comanche, Texas when I found I had a knack for telling stories and letting out feelings in country music. I had been doing punk and psychobilly for quite sometime before that and thought it would be nice to try and do something on my own that represented how I felt and still do feel. JOHNNY PABST : Of course my fans opinions matter but at the same time I need to wake up every morning knowing I enjoyed what I wrote the day before and not worry about selling myself out or representing something I dislike. JOHNNY PABST : I have been in the music scene for over 10 years but have been doing country for about 4 years or so now. Hard to say what really inspired me but I was listening to a lot of Hank 3, Reverend Horton Heat, and Johnny Cash when I decided that it was the path I wanted to take. JOHNNY PABST : Originally my inspiration came from booze and partying with all my friends in Austin but now I find more deeper meanings in my losses and my gains from the last 2 years. I have been married, cheated on, left, laid off from work, homeless, and alone so much in the last couple of years that it seems to just take over when I pick up the guitar. JOHNNY PABST : It's my style. There are others like it and others that imitate it but this is my style. It's rough, gritty, dirty, sad, happy, and is mine. JOHNNY PABST : A lot of influences. Old 97's, Johnny Cash, all 3 Hanks, 7 Shot Screamers, Barnyard Ballers, Death by Casio, Scott H. Biram, Johnny Caroll, Nick Cave, and Leonard Cohen. JOHNNY PABST : I am working on a new CD with Pints of Happiness. No name yet but we are hoping for release during the coming summer. It will be raw and gritty and have most of my current music posted on myspace. JOHNNY PABST : Old School Traditional all the way. It seems that when people were escaping what is now mainstream it had a deeper meaning and more of an impact on society. There were less politics and more saying what was on your mind and what was in your heart. That is one good thing about being a Texan artist, is that we typically write our own music which makes it a lot more raw and real. JOHNNY PABST : Heck yeah! I have met more people who are into the same kind of music that I enjoy, along with people who really would not have had a chance to hear my music without the net! JOHNNY PABST : I am not the typical country singer that you look to for inspiration or for a message that will make you believe in a politic or a religious being. I am just here to tell you how I feel and how I deal with things myself. Love it or hate it I am not going to stop until struck by lightning. BILL "MODAD" VANN : I'm Bill "Modad" Vann, I had my first influences from my Dad and Uncles singing and playing when I was around 4 years old. Then my Brother brought home a trumpet, and I've been playing ever since. I started Singing and Playing Guitar with the Family soon after that. BILL "MODAD" VANN : All the above.. I play Guitar, Bass, and I sing. I also have been playing Trumpet as my main instrument for decades. I do play in The Oroville Community Concert Band and Chorus. BILL "MODAD" VANN : "Strong Hold on Me". My Wife Tempest. She has been my biggest inspiration since Cancer took my Mothers life. BILL "MODAD" VANN : Well I have all the support in my music I dreamed of. My video "Devils Delight" has been accepted on Americas Got Talent on Myspace, June 23rd '09. BILL "MODAD" VANN : I sure wish I could, but I'm currently remodeling my bathrooms, and raising 4 boys takes alot of time. Both, or should I say all forms and styles.The Magic is what it's all about. BILL "MODAD" VANN : Wow! Myspace and Reverbnation have been amazing. My music is spreading all over the globe. Feels awesome. Reverbnation has helped me a lot. BILL "MODAD" VANN : I'm a 6 year Army Veteran. I've played TAPS over 500 times. Then a Combat engineer/ Armorer. My life is awesome. Wife and 4 boys, 2 dogs and a pet GOAT!!! We live in Northern California,and are Very busy. BILL "MODAD" VANN : About 2 years ago I almost gave up on playing for good. My "Modad" kids and my Sons Will n Jake wouldn't let me. I was living a pretty miserable life. Just existing. Then out of nowhere Jake told me he wanted to play football.....It was there I met Tempest.Her boys were on the team too. And here I am.My life has become "Magical" once again. Life is AWESOME!!!! Thank you Doc. I appreciate ALL that you have done,and continue to do for us Veterans. LARRY MIGLIORE : I've been singing since I'm a wee lad. I get my singing chops from my late mom. She used to sing on the radio in Brooklyn, NY and was a standout in the church pew. I figured that I needed to do something with the talent God gave me. LARRY MIGLIORE : My wife! She is a great judge of song content. She should actually be on American Idol. But seriously, she will listen to a new song that I've written and say "I love it" or , "hmmm, not one of your best" I take her opinions seriously because she is an avid music listener and that counts. But I have to listen to the fans as well, they are very important to me. LARRY MIGLIORE : I started banging on metal garbage cans when I was in grammar school. I went through a bunch of 2A drum sticks before actually buying my first set of Ludwig drums. I later learned to play guitar after learning to play the drums.I play a bit of guitar, was a drummer by trade and I've been known to sing a lick. Except for my country songs. I don't have the country voice, so I leave that to the professionals like Jeff Carson, Mike Lusk and Brian Baker, oh and Darryl O'Donnell too. but I always considered myself a songwriter, vocalist and musician all rolled into one. LARRY MIGLIORE : As a lyricist I'd say Billy Joel and Bernie Taupin in the contemporary rock pop genre. Phil Vasser, Brad Paisley, Gosdin, Jackson and many more when it comes to country. LARRY MIGLIORE : Until We Meet Again and Hearts And Roses...sorry I have two! The first song was actually my eye witness account of my father's decline and ultimate death from althiemers desease. My mother had past not too long before I wrote that song. So as my dad floundered in the adult community after her death and lost himself to the disease, he began to see my mom and speak to her, all the while I was watching and listening and it broke my heart. See they were married for 54 years and when she left him, he was lost. So that was a biggie for me. I poured all I felt into that song. On my parents stone is the epitaph "Until We Meet Again". Hearts and Roses, well that's about the little glass hearts I place on Mom and Dad's grave stone when I visit them every week or so. The Roses? Well that is what I remember when Mom passed, all the red roses at the funeral, all the roses placed on her casket when we said goodbye....and yes her name was Rose. Enough said I guess. LARRY MIGLIORE : I've written and re-written a song called "I'm Gettin Gone" I was fortunate to write it with Justin McGovern and hit songwriter Sandy Ramos from Nashville. We think the re-write was totally worth it because the rhymn scheme is better and the story stays true to my original plot and title. we're excited about it's chances. LARRY MIGLIORE : I like them both. I'm a tiny bit partial to traditional country though. I like the true, gut wrenching traditional ballads ala George Strait and Alan Jackson, but I also love the drive of Keith Urban and Deirks Bentley too. Brad Paisley is one great player as well. Hard to choose sometimes because there are so many great songs out there that are both traditional and modern country. LARRY MIGLIORE : I grew up with a guy named Tom Parisi. He taught me all I know about music. We became published song writers together. We got a song into a movie, had some things on MTV and VH1 and then he got married, had a daughter and passed away in 2000. I always vowed that I would write a "hit" song in his honor and although I haven't had that happen yet, his memory always keeps me inspired to write and keep writing until I'm able to say, " yeah...thanks Tom, I got the number one, now what in God's name will I do for an encore?" LARRY MIGLIORE : My songs can be purchased at www.MusicForte.com, just put me in the search field, same goes for www.ourstage.com or just email me through my website at www.LarryMigliore.com and I can do it all through Pay Pal I guess. JAYCE CLIFFORD DENTON : My name is Jayce Clifford Denton and I got started singing when I was only 4 years old. Me and my Step Brother at the time had this Great Idea to have a concert for My Mother and his Father. I decided that I would sing while he danced and backed me up. That day was the day that I decided that I wanted to be in the spotlight. After that I was in every choir and play I could Find. I Loved anything to do with music and even did some things in the schools band. At 12 years I decided it was time to start working on getting into the business. and have been working at it ever since. JAYCE CLIFFORD DENTON : To tell you the Truth I have tried a little of it all, But I must say that I am Mostly just a Vocalist I would rather let the Professional Writers write and me sing. JAYCE CLIFFORD DENTON : Fist and Foremost they must realize that I am not trying to conform to any set style I just want to be Me and only ME if they like what I am putting out then I think I have done my job as a Musician. JAYCE CLIFFORD DENTON : Humm this is a Hard one as I have so many, But I think I would have to say the Biggies Like Garth Brooks I always loved his style and his voice was unparalleled in the country side On the other Hand I Loved to Listen to Boy Bands Yes I Know what you are thinking OHH NOO Right but I listened to them because they had really great Vocal Harmony and that taught me so much about blending with a backup singer and in choir. JAYCE CLIFFORD DENTON : No doubt its "MY MOTHER" I wrote this song about 10 years ago as a Mothers Day Present and ever since I have wanted this song to be my First single. It means so much to me because My Mother has been and always will be My World and Inspiration she taught me I can do anything I want and without her I would have been lost in this world. JAYCE CLIFFORD DENTON : The CD I am currently working on with KMA Records is going to be Jayce Denton "MY MOTHER" again this is for the reason I just gave you She is My World!! JAYCE CLIFFORD DENTON : WOW Lets see I GOT SIGNED and Finally have the chance to share My Music and Love of the world with everyone out there!! That is truly all I have Ever wanted!! JAYCE CLIFFORD DENTON : I Enjoy it all It all has something to teach us From Kitty wells to Keith Urban. Every song is a Story in someone's Life and that in itself is Special!! JAYCE CLIFFORD DENTON : OHH Yesss very much without its infinite ability to connect people and their loves of whatever it may be I do not think I would even be known outside my small community and maybe not even that far!!! TYLER T. TOLIVER : Well, I started teaching myself to play guitar at the age of nine, and not long after that I started singing. I never thought I was any good but my mom always told me some day I was gonna be something big. My love for country music started as a boyI used to rock out to Garth Brooks on any and every juke box I could get a dollar into. My mom was a bartender when I was a boy so I kept myself occupied by playing the juke box, shooting pool, and running around in the woods and getting into trouble. DOC KILLIAN : whose opinion of your music means more, yours or your Fans? TYLER T. TOLIVER : Most Definitely the fans. I have gained such an amazing fan base with just YOUTUBE and MySpace I cant imagine whats going to happen when I am able to start touring. My fans mean the world to me and I try to make that known I try to touch people on a personal level every chance I get. I try to make everybody happy I guess thats just the man I am, thats a lyric right out of my song Crazy. With out the love and support of my fans I would be nothing. I thank and love every one of you. DOC KILLIAN : Where do you get the inspiration for your songs and music? TYLER T. TOLIVER : My songs come from my life experiences for the most part. I have written one song using someone elses life and to be honest with you thats one of my favorite songs. I try to write about things that are real and will touch people and maybe even make their day a little better when they listen to my music. DOC KILLIAN : For you, what comes first, the music or the lyrics? TYLER T. TOLIVER : I suppose it all dependssome days Ill be playing the guitar and do something that sounds catchy and I will try to write a song from that and other times I will start thinking of lyrics and then the music needs to be worked around them. In my opinion a good song doesnt take more than 30mins to write. There is more emotion and meaning when the lyrics and the music just come to you, rather than trying to make things up as you go. I know that may sound stupid but if you have ever written a poem or a song you know exactly what I mean when I say that. Ya know? DOC KILLIAN : Who were the top musical influences to you and your music? TYLER T. TOLIVER : Garth Brooks is my number one man. They used to call me the Garth Boy at the Hunters Nest, which is the bar my mom use to work at. If there is one person I would hold responsible for the drive I have to be successful in the country music business its Garth Brooks. Aside from Garth, I have always looked up to several of legendary country artist like George Strait, Reba, Toby, Alan Jackson, I mean the list goes on forever. TYLER T. TOLIVER : Hmm.My favorite song? If I had to choose one I think it would be Crazy. Believe it or not I wrote that song when I was 15 years old. I grew up having to work for just about everything I wanted so I had my first part time Job working at a convention center back home in WI. I lucked out and it just happened to not be too far from my house so I was able to walk there until I got my drivers license but I look back and just think how I could have had that mind set at that age.. In addition to having bills to payI had a crush on a girl I worked with who was 21 at the timeand obviously as the songs states about my life, I cant love you. HA-HA She had a crush on me too she would never admit it though because of the age difference, but I knew what was up. Ha-Ha Good times man I tell ya. TYLER T. TOLIVER : As of right now my favorite song is by a newer face to the country world. Small Town USA, by Justin Moore is my favorite song. Now Im from Milwaukee, WI. Not really a small town by any means.but I have been to my fair share of little hick towns with populations that are under 4 digits. Thats the life I dreamed of growing up. Small town USA just makes me feel good inside. The song talks about working hard to make something of your self, and never forgetting who you are and where you came from. The chorus reminds me of the farm parties we used to haveGo out in the middle of a field with a bunch of pick up trucks, and a great big fire a couple guitars and we were set for the night. There wasnt a better place to be on a Fridayand/ Or Saturday night. TYLER T. TOLIVER : Oh Man So much has changed, at this time last year I was still making YOUTUBE videos in my barracks room to keep my self entertained because Im NOT a fan of big cities and I didnt know anybody outside of the Marine Corps in the area at the time.so thats about all I did. Now I have been working with my wonderful manager John Jewell and he has been just so great in everything we do. In under a years time we have gotten my first single released, my first music video made, and now we are getting ready to finish up my first CD. Its pretty neat to be able to walk around out in town or go to a restaurant and have the waitress say hey arent you Tyler ToliverIve heard your music online before. The more time that passes the more and more that happens to me and it just warms my heart to know that Im getting somewhere with all this. I look forward to the next few months this is going to be a fun filled summer. TYLER T. TOLIVER : I think about this question quite a bit. What do my fans want to know about me. Well from the many of MySpace, Face Book, YOUTUBE, and email messages that I receive nothing motivates me more than reading how my song or songs have touched someones life in some way. Its the greatest feeling in the world to know that somewhere in the world there is a good chance someone is listening to the words and music I wrote to feel better. Making it Big in this business is something I look forward to so I can touch many, many more lives and hearts along the way. On the other hand, and on a more fun noteIm probably one of the most down to earth easy going guys you will ever meet. I Love people and I always have. Ever since I was a young boy I remember talking to pretty much everyone that crossed my path. I have my goofy moments just like any other person, and Im always, ALWAYS trying to help people in any way I can. TYLER T. TOLIVER : Haha Well about 3 or 4 months after Live Our Dream hit big with my internet fans I got a message. In that message a Marine Wife commenced to tell me that she loved the song, and when she showed it to her husband he just started laughing and walked away. He later told her that I, was his Company Honor Man in Boot Camp. A few weeks later I went to a Pizza place out in Warrenton, VA. With my manager John, and when our waitress walked up she looked at me with a kind of baffled look on her face. Now, no matter where I got out to eatbefore leaving I always ask at least one person working What kinda music do you listen to? most times they saywell I dont know I guess it kinda depends. Ha-Ha well this time when I askedshe said Thats where I know you from Ive seen your stuff on YouTubeYoure pretty good You see its things like that, that keep me pushing for my dream in Country Music. I could go on forever with little stories that have related in someway to my music but wed be here all day. Doc. Thanks so much for the continued Support and efforts with helping my career along Its much appreciated, T.
RODRICK NOBLES : I was raised by my Great Aunt, I call her my Mom. We moved to a small farm when I was in the 6th grade but before that I was already in love with country music. Growing up on a farm you learn how to work because there is always something to do. After I graduated I went into the Army for six years that six years changed my whole out look on life. I didnt start writing until someone dared me too I was about 25 then. I just started taking my writing serious a year ago when I entered a song writing contest and got good feed back. I jumped feet first into it not knowing there was a lot to learn. You learn quickly when its your money invested. I still have a lot to learn but Im enjoying everything as I go I am just so hungry to make it to the CMAs I can taste it. RODRICK NOBLES/ROCC : My fans opinion is very important to me. They let me know Im on the right track. PHILIP DAIN POWELL: At the age of four, I would sing and playing along with my mothers RCA radio/TV combo. My inspiration came from my Mother and her Heavenly Voice. She sang to me the hit songs of the day and her voice was so beautiful that it touched me deeply. That awakened a God given talent and since then I have had a burning desire to be an entertainer. My Mother was not only my inspiration but my Hero as well. She combined being a Single Mother with her career of singing as a demo artist with RCA New York and as a Singer with the New York Metropolitan Opera. 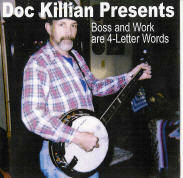 DOC KILLIAN: Are you a songwriter, Musician, Vocalist or all of the above? 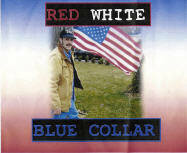 PHILIP DAIN POWELL: I am all of the above......I write most of my music and I have been the lead vocalist all my life. I also play acoustic guitar. DOC KILLIAN: Where do you get the inspiration for your songs and music? PHILIP DAIN POWELL: My inspiration comes from everyday life experiences. Most of my songs are written about my life or something that has happened in my life. DOC KILLIAN: For you, what comes first, the music or the lyrics? PHILIP DAIN POWELL: Definitely the lyrics. Since I am a writer, the lyrics are the most important part of my songs. I try to tell a story and send a message through my songs. If someone gets a blessing or is touched by one of my songs, then I have done my job as a writer. DOC KILLIAN: Whos opinion of your music means more, yours or your fans? PHILIP DAIN POWELL: Of course it would be my fans. As a Singer/Songwriter it is my job as an artist to please my fans. DOC KILLIAN: Who were the top musical influences to you and your music? DOC KILLIAN: Has the Internet helped you in getting your music out? PHILIP DAIN POWELL: Yes it has. Unlike a traditional record deal which take a long time to develop, the Internet allows me to go global instantaneously. PHILIP DAIN POWELL: In 2007 I suffered injuries to my neck and back in a car accident that required major surgery on my spine. I had a disc replaced in my neck and as a side effect of the surgery I lost my voice for about six months. This inspired me because I realized how fragile our lives are. This made me appreciate the gifts that God blessed me with and I promised Him that I would never take my voice for granted ever again. DOC KILLIAN: Are you currently working on a new CD? PHILIP DAIN POWELL: I have just recorded and released my new album entitled God is Love with my new single Give a Little Love on radio now. DOC KILLIAN: Do you have a Main Artist Site where people can purchase your music? PHILIP DAIN POWELL: We are working on an online site now however it is not fully functional. My web site is http://www.philipdainpowell.com . I hope to have it fully functional before Christmas and my fans will be able to purchase CDs and other items there. Fans can also visit my myspace site which is http.//www.myspace.com/philipdainpowell. I have several songs posted there. Fans can also contact me at lyricman44@aol.com.